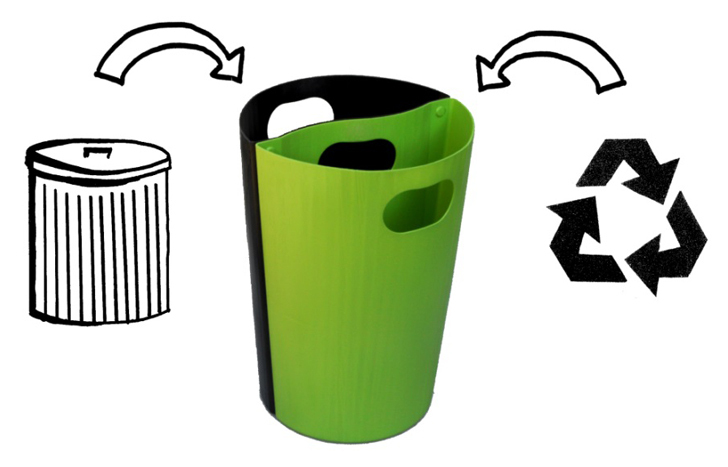 Can a simple redesign of the trash can make recycling so easy that everyone will do it? That is what husband and wife team Jeff and Liz Helfrich, asked when they invented the Solecan, a trash/recycling bin made from recycled plastic. The Solecan is a small dual compartment trash/recycle can that snaps apart to make emptying trash and recycling separately a breeze. The Solecan will be made in the U.S.A. in a variety of colors. If their Kickstarter campaign, which runs until Earth Day (April 22), is a success, the Helfriches hope the Solecan will help make recycling a habit in every room and keep millions of pounds of recyclables out of landfills.